The Colombian capital will be served by a once weekly freighter service starting January 16. Emirates SkyCargo will be working jointly with Avianca for the freighter service out of Bogota. 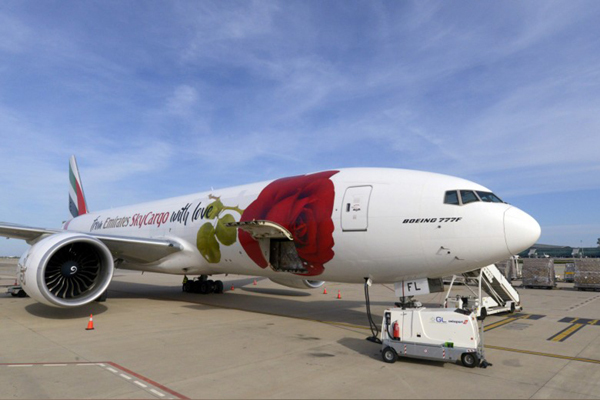 The Latin American carrier will commercialise the capacity of the Boeing 777 freighter on its return leg from Bogota to Maastricht to move cargo booked by its customers. Emirates SkyCargo and Avianca are working on developing a deeper partnership where Emirates SkyCargo will assist Avianca for transporting cargo from Latin America across its well-developed network in the Middle East, Africa and Asia region while Avianca will help Emirates SkyCargo strengthen its reach in the South American market, the company said. "We welcome Bogota to our global network of over 40 scheduled weekly freighter destinations. South America is one of our main focus regions and we believe that there is a lot of potential for further growth in demand for air cargo capacity in this region," said Hiran Perera, Emirates senior vice president, Cargo Planning & Freighters. "We are also delighted to be working with Avianca for this freighter service and we look forward to strengthening our partnership to facilitate more trade between customers in South America and the rest of the world," he added.